1). 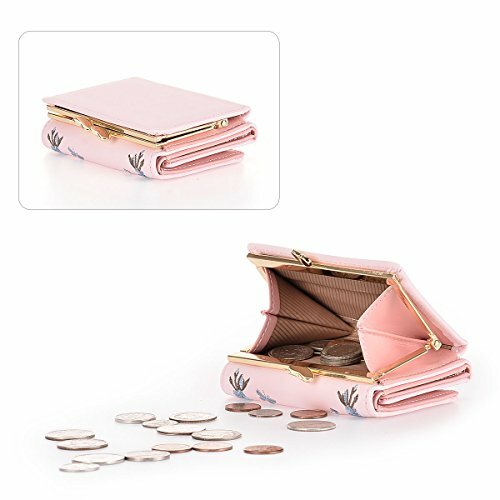 Large Capacity: 5 card slot, 1 photo slot, 1 cash slot and 1 coin purse. It can basically meet the needs of your everyday life. 2). 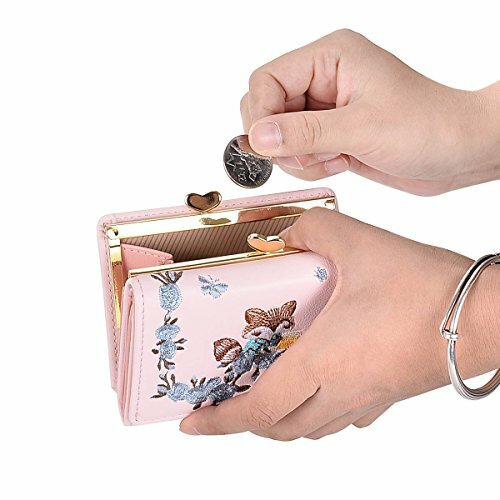 High Quality: Premium PU leather, tough and durable, as time goes by, the wallet still can keep bright and lustrous. 3). Long Time Free Warranty: We will provide refund and replacement service for customers, if products are not being damaged by any man-made factors. 4). 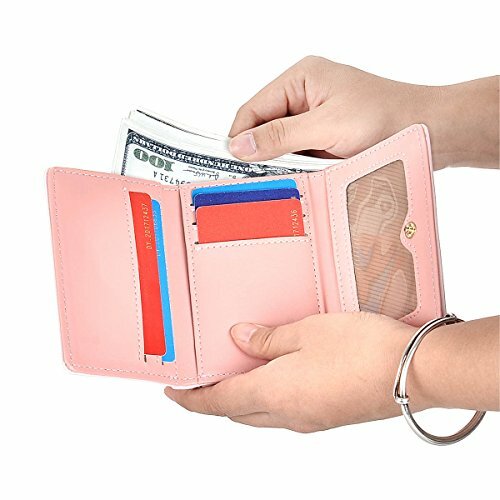 Classic Design: The design is classic which means the wallet can be used in everyday life. And the classic design is eternal, you don’t need to worry the design will be out of style. 5). Gift Idea: perfect gift for family members, friends, wife or girlfriend. 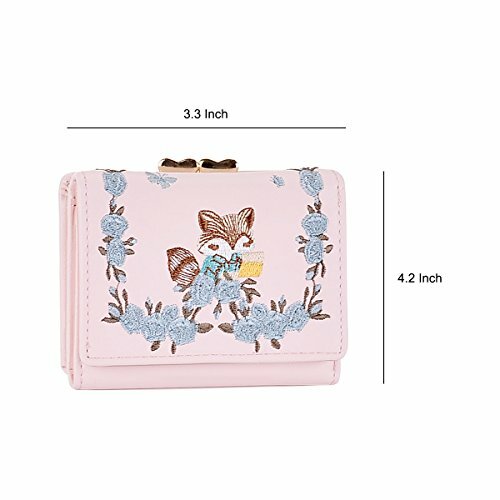 Little fox embroidery multi-functional trifold wallet is coming!!! 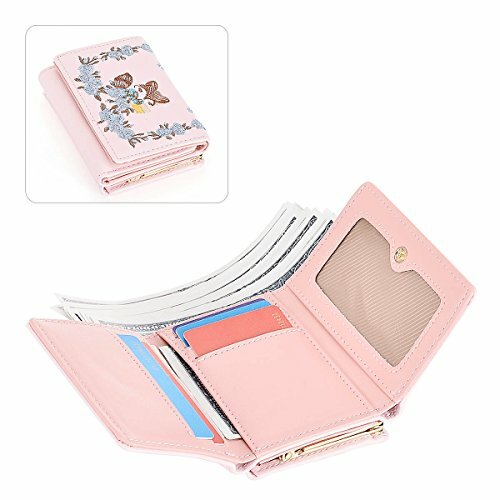 It contains 5 card slot, 1 photo slot, 1 cash slot and 1 coin purse, so it can basically satisfy your needs for your everyday use. 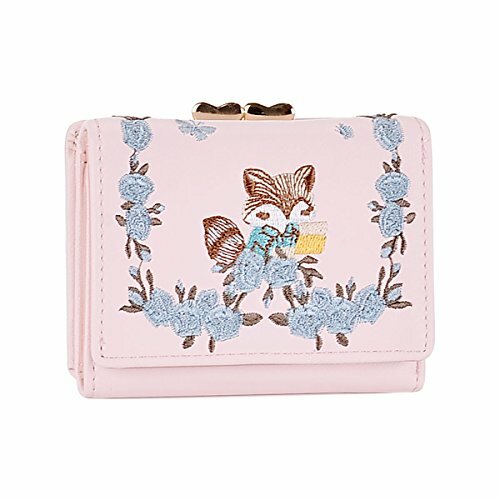 The wallet is very fashion and trendy, with lovely little fox embroidery.